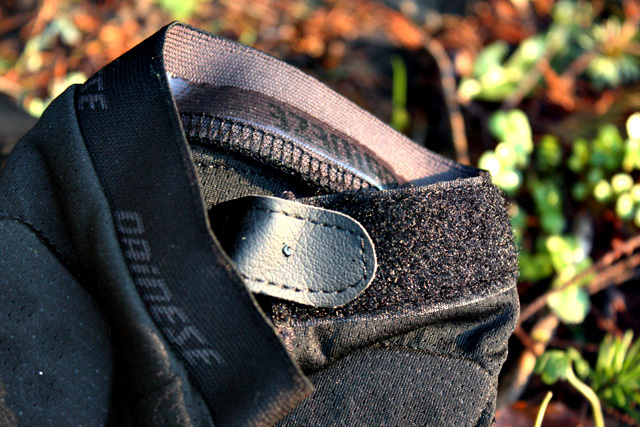 The Dainese Trail Skins Knee Guards caught my eye at this year’s Interbike trade show. Dainese bills them as ideal for all-mountain riding (thank you, guys from Italy, for not calling this an “enduro-specific guard”). 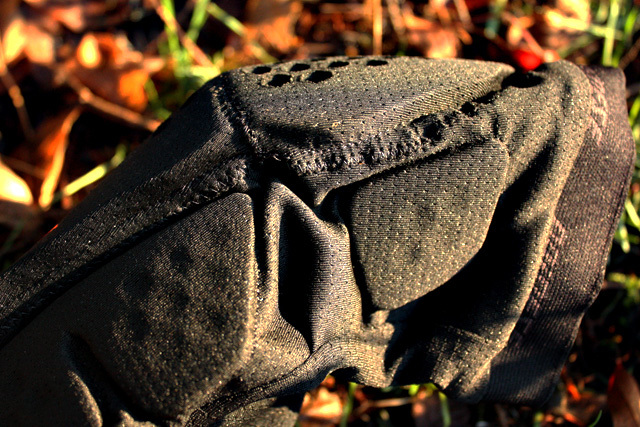 To that end, they also tout the Trail Skins as possessing the best impact aborption-to-weight ratio on the market. Since I’m not quite geeky enough to go about weighing all the knee guards out there, I can’t verify that last bit, but I can say this: the guards feature a breathable, 4-way stretch fabric and the business end of the pad is essentially a flexible tech sandwich of memory-retention foam and Dainese’s own Pro-Shape material–essentially a lightweight honeycomb structure. 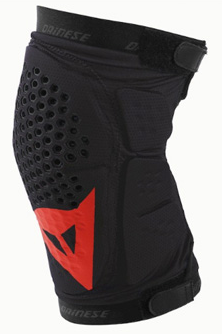 So, yeah, the pads are light and flexible and they look breathable as all hell, which should make them a good match for long days of pedaling when you really need some protection for that most crucial of joints, but probably aren’t keen on strapping some giant, sweaty diaper-armor gizmo to your knee. 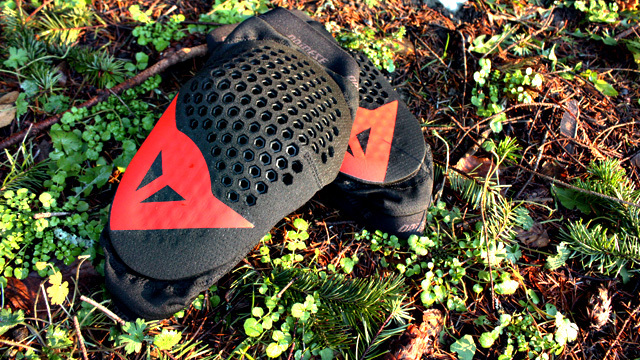 Silicone grippers and velcro closures are designed to keep the Trail Skins from creeping down your calf and turning into ankle warmers. The Trail Skins only recently showed up at my office (a.k.a. “my garage”), so it’ll be a bit before I can say how they’ll match up against the likes of the Kali Aazis, Alpine Stars Paragons or Dakine Slayers. Time will tell. I’m hopeful, though. There are a couple of promising details, including the use of both silicone grippers and velcro straps (too many pads eschew velcro closures for God know what crazy reason). The side padding, which protects all those spendy ligaments and tendons looks a bit underwhelming, but I’ll go and crash my brains out on something fierce and rocky and will let you know if those little chunks of foam are up to the challenge of keeping me out of the bone doctor’s house of pain.